Nothing stays new forever, and sometimes a classic car’s journey towards its final destination is hastened by an unfortunate turn of events. If you own a high-value classic car, then you’ve probably already purchased some kind of collector car insurance. 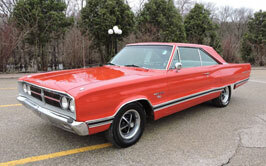 If not, click here to read our article on collector car insurance. Nobody wants to think about the worst occurring to their collector car, but preparing for it is always going to be the best way to weather it. Here’s what you need to know about what happens after something’s happened to your collector car. In any accident, the very first thing you should do is assess the need for an ambulance. It may be easy to overlook a few aches and pains following an accident with the sight of a mangled valued collectible in front of you. Set that anxiety aside and worry first about the well-being of those involved. Call emergency services as required and then contact the insurance companies as soon as possible after. Which insurance company should get involved? If you’ve been rear-ended, an offending driver ignored a stop sign causing a collision, or been in any other circumstance in which you have no fault, you may be tempted to let the other driver’s insurance handle your claim. This is the conventional wisdom when it comes to standard car insurance, but it isn’t necessarily the case when it comes to collector cars. As mentioned in Collector Car Insurance, standard insurers may be reluctant to admit an old car has value and only offer the actual cash value for the totaled or damaged vehicle, often far less than a collector car is worth. Even if they do pay some or all of the damages, they may dispute the necessity for some repairs, or require that certain mechanics do the repairs, mechanics that won’t be qualified to attend to a collector car. If you do get in an accident with your collector car, regardless of who is at fault, you should contact your specialized insurer and get instructions from them. Specialized insurers like Hagerty make a business of keeping collectors happy, and say that their goal is “to work closely with the client to get their vehicle repaired properly and to the same or better condition as it was prior to the loss.” Hagerty utilizes an appraiser to evaluate vehicle damages and write a preliminary repair summary. Depending on the damage your collector car sustained, repair may be an option and insurance providers specializing in collector cars will likely have resources available to help. In Hagerty’s case, they’ll identify any particular concerns you may have and make arrangements to get the vehicle repaired at a restoration or repair shop of your choice, and will provide assistance in choosing one of their Expert Repair Network shops in your area if you don’t have a preferred shop yet. They also have an in-house Parts Specialist who will help to track down rare parts to make sure the job gets done right. If the car held more than monetary value, you might even consider having a totaled vehicle repaired. In either case, you’ll want to discuss the options with your insurance provider. Even in cases of a totaled vehicle, you will likely have the option to maintain the possession of the vehicle by reducing the insurance payout by the current assessed value of the vehicle. Hagerty says that thanks to an expert Claims Specialist team located at their headquarters, an extensive knowledge base, relationships and high standards, they can usually pay and close out claims in less than two weeks from the time it was filed. After that, all you’ll have to do is wait for the repairs to get done. Documentation is the key to the value of many collector cars, and documentation will continue to be helpful proceeding an accident with a collector car. Simply put, document everything. If able, take pictures at the scene of the accident and take them from every conceivable angle. Get the names and contact information of everyone involved. Following the accident, document the repairs and save every receipt to prove that the repairs were handled by experts in collector car restoration, and handled correctly. As devastating as damage to your collector car might seem, that being your primary concern means you’ve probably escaped serious harm to yourself, and that’s more important than sheet metal and glass. 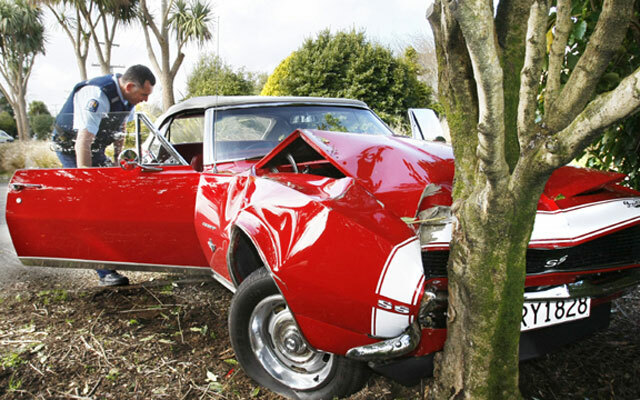 Remain calm and remember that your collector car insurance is there to sort out what comes next. Thank you to Hagerty Insurance for giving us some insight into how their operation works. Click here to learn more about Hagerty.